Today on the Doc On The Run podcast we’re talking about Extensor Tenosynovitis. Extensor, it refers to extend or to pull up and straighten. So if you make a fist and then you straighten up your fingers, you’re extending your fingers and then the tendons that actually allow that to happen in the back of your hand, those are extensor. The extensor tendons at the top of the foot actually pull your toes upward away from the ground and help you extend your toes when you’re swinging through as your foot swings underneath you. While tenosynovitis refers to the tendon sheath around those tendons. That tendon sheath is supposed to decrease friction. Anatomically you have this structure called tendon sheath that’s supposed to protect it. So the tendon sheath is basically a tube that goes around the curve underneath the retinaculum and then the tendons glide through that. The sheath itself is really simple. You have this outer two that is through there, where the tendons glide through and then you have a soft squishy tissue on the inside of it called “synovial tissue” which makes the synovial fluid that lubricates the tendon sheath. The word extensor means to extend. Tenosynovitis means inflammation because “it is” is inflammation, so “teno” is for the tendon and then the “synovitis” is inflammation of the synovial tissue. Although it sounds really like some huge thing happening you. It’s not really that big of a deal. You just have some inflammation of the tendon sheath that surrounds the tendons on the top your foot. Basically what happens is that you get this problem from a number of things. The most common thing is overuse. When you get inflammation of the tendon sheath injury it’s usually because you work the tendons too hard. It happens a lot with the peroneal tendons. But with the extensor tendons, it really doesn’t happen that much unless you do a lot to hill repeats. But it’s not the tendons that get injured, it’s the inside of the tendon sheath that becomes inflamed and that’s what causes pain. So that’s what extensor tenosynovitis is in short is that it’s inflammation of the tendon sheath within that fiber’s tube. You have to do something to address that. You have to do something to get rid of it. And so through this we’re going to talk about some of the things you can do. Some of the things to think about I mean have a whole course that you could look at. But you don’t need that, this will help most people just looking at this here and what I have to say here will help you really decide what you can do now and what you can do on your own without seeing anybody right now and if you need more help you can get the course. But most people are not going to need that. Let’s talk about what you as a runner can do. The way I think about this with every runner I see, I look at them and say okay this is a runner that has pain. The runner wants to run. They want to get back to their event and they want to do the race this weekend or next month or in October. And they want to make sure that they can run. 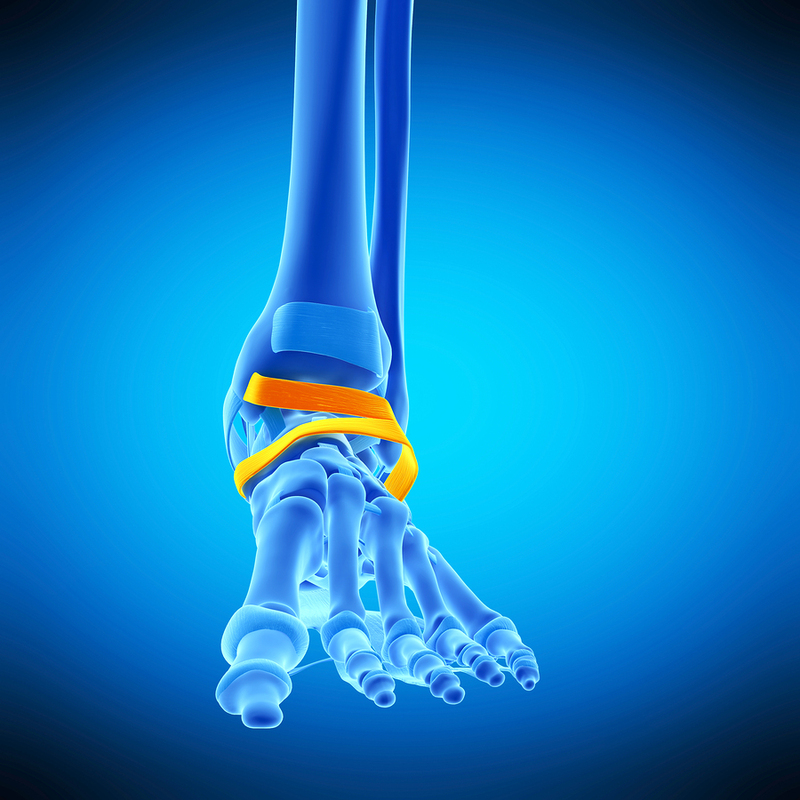 What is the best-case scenario with extensor tenosynovitis? The best case scenario is you get to go away very quickly. You have no problem, no long-term difficulties and no chance of a re-current injury because you didn’t treat it adequately enough. So that’s the best case scenario with this is that you can get it to calm down and heal very quickly on your own and then get back to running right away. That’s the best case scenario. What is the worst-case scenario with extensor tenosynovitis? The flipside of that is in every runner, you have to think about what is the worst case scenario. For example the Achilles tendon, totally different tendon, totally different risk factors and totally different long-term problems. With an Achilles tendon injury, the worst case scenario is that you rupture it. You completely ripped it and tear it and don’t notice right away that you actually tore it and then when you have surgery to put it back together, you have to shorten the Achilles tendon and then you’re never the same. Then you wind up with a whole host of other injuries later because you have a super tight Achilles tendon that’s stiff, non-compliant, non-pliable, more rigid because you had neglected it and had to have surgery. In that case you’re never going to run the same so this is not that kind of thing. So extensor tenosynovitis you have to consider best case scenario, you get it to calm really quickly. Worst case scenario, what happens with worst case scenario is it continues to hurt. So I’ve never heard of a runner rupturing the extensor tenosynovitis on the top of the foot because they continue to run. If you’re sure it’s not a stress fracture and you’re sure it’s extensor tenosynovitis well in the worst case scenario is that it’s going to hurt big deal Right. You hurt every time you do mile repeats. You hurt every time you do hill repeats. You hurt every time you do a long run. So if it hurts so much you can’t run, that’s a problem. But the main point here is that you don’t have the same risk that you would have with some other injuries like if you had an Achilles tendon tear or some other things that are higher risk where you can make it so much worse you can never run again. Not the case here. So when you’re thinking about when you’re going into a race with this problem you have to figure out what the best case scenario if you try to pursue that. But also be aware of what the worst case scenario is because if you have an event that you really want to do knowing the worst case scenario tells you whether or not you could do the race. If you’re willing to do the race and suffer a little bit, you can probably do some things to calm the inflammation down. Do some things to take the pressure off of it and then do your race without any serious problems. So that’s what you have to think about when you’re considering the worst case scenario for any kind of injury if you want to run your race. Why doctors mis-diagnose extensor tenosynovitis? This happens a lot. So the most common thing is that the doctor misdiagnosed you with something like a stress fracture because stress fractures, the bones are right under the extensor tendons. Extensor tendons are right across the metatarsal bones in the foot. They’re very close together so sometimes the doctor when they hear your story and it sounds a lot like a stress fracture. Stress fractures are more common than extensor tenosynovitis that the doctor assumes that’s what it is and maybe they don’t even look at your foot which would be more likely that they would make a misdiagnosis. But maybe they do look at your foot. Maybe they look at your foot, they’re in a hurry, they kind of poke around and they push on what they think is you fourth metatarsal but they’re actually pushing on soft issue because the soft issue is underneath the skin and over the bone. So when they push on the skin and push down on the bone on your fourth metatarsal and you have pain they say “Okay well there you go. You have pain on your metatarsal. That sounds like a stress fracture. It looks like a stress fracture. You have a stress fracture.” But you don’t. You actually have extensor tenosynovitis because they pushed on the extensor tendon at the same time. So they need to be careful and diligent about which structure they’re pushing on, how they’re doing that, how they’re stressing it and do some little tricks to basically stress that particular structure individually to make the right diagnosis because if you get a doctor that tells you that you have a stress fracture of the fourth metatarsal, you probably don’t want to run a hundred miles on that because you could break it. You could try but if you break it, that’s not a good thing. So if you have extensor tenosynovitis that when you run on it may hurt but it’s not going to kill you. It’s not going to break so it’s not a big a deal. But it’s really important to figure out whether or not you might have been misdiagnosed and if you have then you have to do something about it. How can I tell if I have extensor tenosynovitis? There’s a way that you can tell yourself. If you do your own self-diagnosis. If you really know how to push on each of these structures. If really know what to not push on at the same time so you don’t c0onfuse things. You don’t want to push on two structures at once and you push on them in the right place and you apply a little extra tension with the right technique then it will help you determine whether or not you actually have extensor tenosynovitis or maybe a stress fracture instead or if it’s arthritis or information of the joint underneath the extensor tendon in the mid foot. But you have to make sure that you just checked that one individual structure in way. It’s not that complicated and it’s not that difficult. Okay so let’s talk a little bit about the signs and symptoms of extensor tenosynovitis because that’s the part that would help to determine what the real deal is. 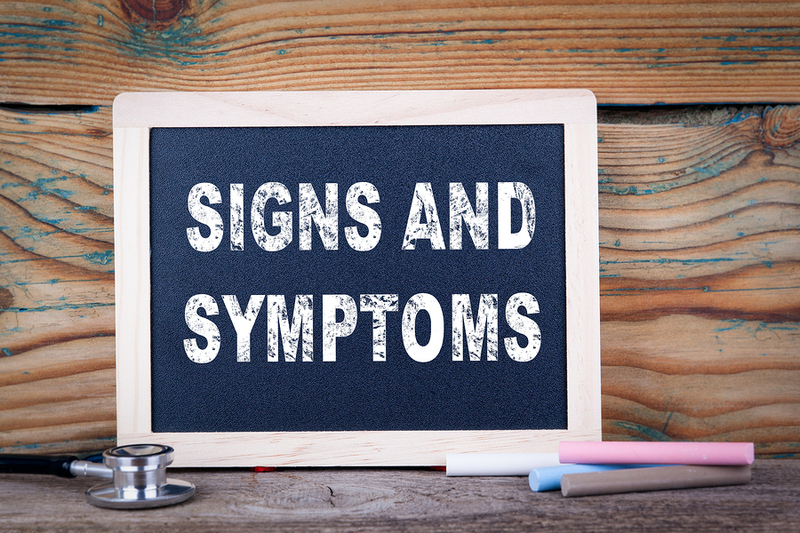 Signs and symptoms are what doctors refer to that give indications of a problem. For example if you have a cough, the fact that you’re coughing is a sign that there’s a problem. If you cough and it hurts, well that’s a symptom, you’re having pain when you cough. So what it does to you is the symptom and what you see or can report in terms of something changing is a sign. You have all these different things are signs and symptoms and helps you figure out whether or not you might have that problem because those things are really helpful to determine what could be a stress fracture, could be arthritis, could it be extensor tenosynovitis. Which of these things is it? So if you’re trying to figure out which one it is, you have to think about the signs and symptoms. I’m going to explain a little bit about that. When you have extensor tenosynovitis, you get swelling in the tendon sheath and the tube around the tendon but it’s just inflammation. It’s just fluid that has expanded in the synovial tissue inside the sheath. You didn’t rip anything, you didn’t tear anything. There’s almost never any bleeding, that’s the most important thing. If you have a lot of bruising on your foot. If your foot’s really bruised. You ripped, you tore, you broke, you did something, you caused some kind of significant tissue damage enough that you actually tore the blood vessels in that tissue and it bled under the skin which you see as a bruise. So if you have a bruising in your foot it is unlikely that it is extensor tenosynovitis. It’s much more likely that you that trauma where you dropped a rock on your foot which of course you would remember or well maybe you drank a gallon a whiskey and you dropped a frozen turkey on your foot. But most writers don’t drink gallons of whiskey. I think it’s unlikely but you could have trauma and that would explain the bruise. But you have no trauma, if you’re just training, you’re running, doing hill repeats, mile repeats, running on trails and you get pain on the top of your foot and it’s really debilitating you can barely walk when you have no bruising at all, it’s unlikely that you would have a stress fracture because if you get a stress fracture particularly if it’s really bad where you crack the surface of the bone, the bone bleeds and you get a bruise. So with the foot in general if you have really bad bruising and you don’t have any trauma it’s basically a fracture until proven otherwise. Any doctor who is going to look at it will be concerned you might have a fracture when you have tons of bruising but that doesn’t happen with extensor tenosynovitis. If you have lots of pain and the pain’s on the top of the foot, it’s kind of swollen, then that’s a sign that you’ve got extensor tenosynovitis. Also if you actually look at the extensor tenosynovitis and it’s very difficult to find them, you have a lot of swelling on your foot, that’s also a sign of extensor tenosynovitis. That’s another one of things I kind of explained more in detail in the course but you can look at your foot and tell. You can compare one foot to the other. You can see how much swelling you actually have in the foot. If you have a lot of swelling but no bruising, could be extensor tenosynovitis. So you just have to think about all those things that can seem like extensor tenosynovitis. So what do you do right? That’s what runners always ask and truthfully with all runners you’ve got to heal as quickly as possible. So I above all else want you to run. However, I also want you to run as quickly as possible without this going on. If you have extensor tenosynovitis and you just ignore it, it’s going to go on for a long time because the tendons are never going to have a chance to calm down. The problem with that is that it’s not like it’s going to rupture but your running is going to be miserable. You’re not going to run as fast as you possibly could. It’s distracting you. It’s annoying you. And in somewhere in the back of your mind you’re going to be concerned that this could get way worse or maybe I’m making a problem worse or maybe I’m going to break something because you don’t really know. You’re not a hundred percent clear on what the problem is and you’re not really sure they’re not going to make it worse. So that’s the thing is you got to do something as quickly as possible to try to calm it down. It’s not that complicated you know the first thing you have to do is it’s “itis”, it is inflammation. It is too much inflammation in the tendon sheath surrounding the tendons and you just have to calm the inflammation down. The way that you do that is really simple, ice contrast bass, compression socks, elevation, all the stuff that we think about in terms of reducing inflammation will really make a huge difference. So if you have compression socks wear them, sleep in them, elevate your feet, get them way up above your head. Do something to help push that fluid out and gravity will help push the fluid out. If you’re combining the force of gravity by having your feet up in the legs up the wall pose have them way up in the wall while you’re lying on your back for fifteen minutes and you’re wearing compression socks which squeezes your foot and pushes that fluid out, that will help. Just don’t use compressions sleeves. If you do that if, you really ice it, you do contrast baths and you elevate and use compression socks and you’re really protect it, you don’t irritate it with shoes that constrict and have laces cranking down on top of those extensor tendons, it will calm down really quickly. What will a doctor typically do for extensor tenosynovitis? If you do the right stuff initially just trying to remove the inflammation, it may improve right off the bat. If it doesn’t improve then you might go see a doctor. So it’s important to know what to expect when you go to the doctor. First of all the doctor will tell you do all the stuff I just told you to do. Those are the things the doctor’s is going to do to tell you to start with on day one. Now if you don’t get better, the doctor is going to tell you to do other stuff. So the next thing they might do is fit you with a fracture walking boot. 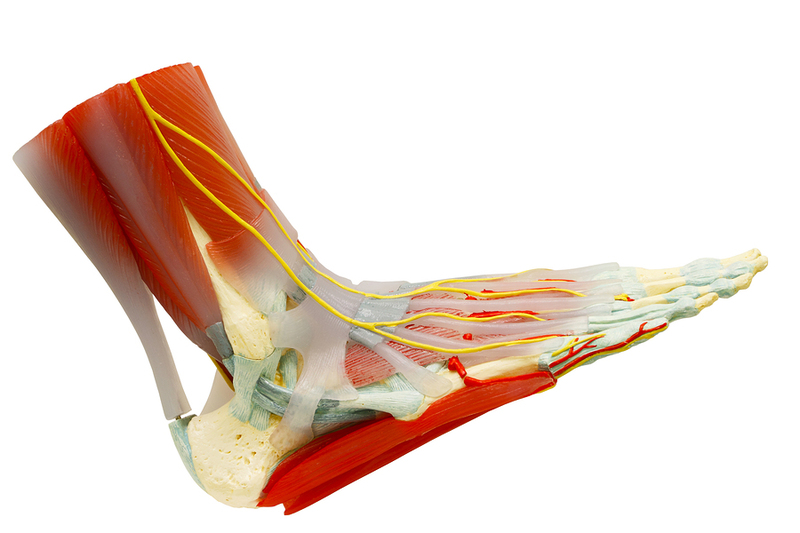 The idea there is that you’re moving the foot, the toes are moving up and down every time you take a step and that motion of the tendons gliding back and forth through the extensor tendon sheath under the retinaculum when you walk is aggravating and irritating them. The idea is they stick you in boot, lock you up, you can’t move, you’re not moving the tendons at all and because there’s no motion they’ll start to calm down faster. Of course the doctor can also charge you for a fracture walking boot and probably bill your insurance company hundreds of dollars for that thing. But you don’t necessarily need it. You could try it and it may help some but that’s not really a great solution for you. You don’t want to spend any more time in the boot than you have to. If you do it for only a couple of days just to treat it aggressively initially, that’s okay. But I’m not a fan of putting people in fracture walking boots for several weeks just to see if it will calm down the extensor tenosynovitis so be aware of that. What will a doctor typically offer that a runner should avoid extensor tenosynovitis? The other thing that doctors all do is they will give you prescriptions. They may tell to you to take Ibuprofen. They may give you a prescription for some other kind of anti-inflammatory drug. I’m not a huge fan of those for lots of different reasons. But the thing that they may do that might help the most if they’re going to do it is to inject it. When we injected the tendon sheath, we inject a mixture of local anesthetic and corticosteroids. Corticosteroids basically stop inflammation. There’s a risk and a benefit to everything of course, nothing for medicine is free. So for everything, it seems like it might work. There’s also some kind of risk attached to it. That’s almost universal in medicine. The deal with corticosteroids is that they’re the best thing around to stop inflammation. They’re also the best thing around a breakup collagen. That is one thing that your doctor may offer to you to use. You just need talk to them realistically about how much it really hurts, what their concerns are and what you’re going to do once you get better, as soon as it calms down you’re probably going to go back to running. I certainly would. But you have to talk to your doctor and make sure that you’re not going to get a treatment that’s potentially going to make it worse later. When should you run with extensor tenosynovitis? Then the million dollar question of courses is when should you run with extensor tenosynovitis? When is it okay to actually resume running? Because if you have this problem, it’s going to be painful. You can run if you take the pressure off it, if you reduce inflammation, if you do all those things you should still be able to do the race if you can get it to calm down quickly just in these simple things at home the same way I explained it in the course like if you do all this stuff now and it calms down and it doesn’t hurt, why not? Do the race, definitely do the race. And but you have to know what to do in order take the pressure off. What to do if extensor tenosynovitis is not getting better? The last thing to talk about is what to do if you think you have extensor tenosynovitis and it’s just not getting better. This is really simple. It’s like all the other things I talk about. If you know what to do, then you’re going to get better. What I mean by that like if you know what the problem is and you know what the solution is and you do it, you’re going to get better. If you treat it like a stress fracture they can actually take a very long time to get better. It’s not really going to get better and that’s not going to help you. So you’ve got to let it calm down and you got to heal but you got to heal it doing the right stuff. It’s a different structure, it’s a different thing, it’s not going to respond to the same stuff as arthritis in the joint or a stress fracture or the other things that can seem like its extensor tenosynovitis. 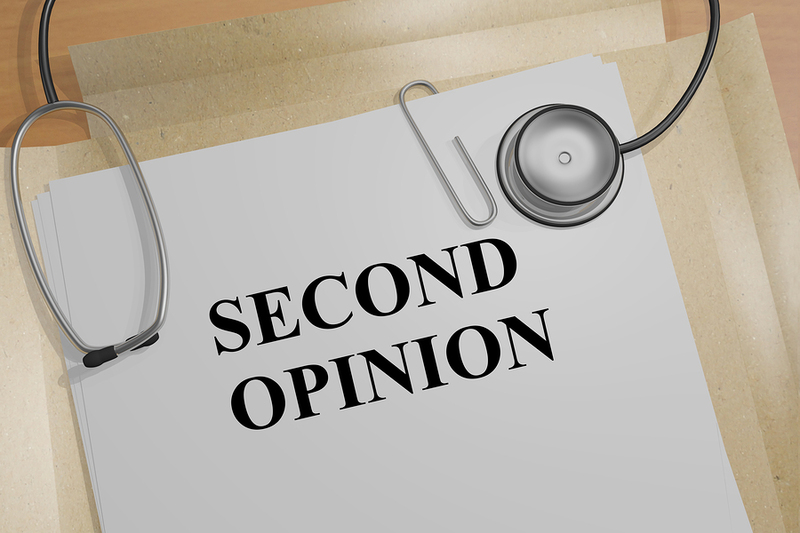 The first thing you need to do when you have extensor tenosynovitis and you are not getting better is go see somebody and get a second opinion. You can get a second opinion online, you can even go through the extensor tenosynovitis course where I show you exactly how to diagnose it yourself, how to treat it yourself. But if you’re not getting better even if you’ve done the course, if you’re not getting better, you probably have the wrong condition and need to re-assess. You need to get an expert to give you a second opinion and get some input from someone who knows what they’re talking about to help you figure out. If you’re not sure, you need to do something either do something like the extensor tenosynovitis self-diagnosis course or do a virtual doctor visit to figure out whether or not that’s really your problem. You’ve just got to make sure that you’re on the right path. You’ve got to know what the problem. As long as you know what it is, you can easily fix it and keep running.